A chemical that is thought to be safe and is, therefore, widely used on crops—such as almonds, wine grapes and tree fruits—to boost the performance of pesticides, makes honey bee larvae significantly more susceptible to a deadly virus, according to researchers at Penn State and the U.S. Department of Agriculture. 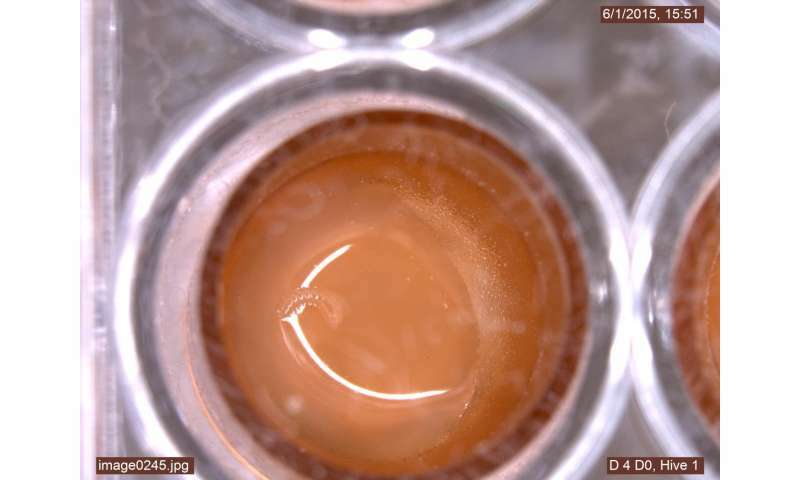 "In the lab, we found that the commonly used organosilicone adjuvant, Sylgard 309, negatively impacts the health of honey bee larvae by increasing their susceptibility to a common bee pathogen, the Black Queen Cell Virus," said Julia Fine, graduate student in entomology, Penn State. "These results mirror the symptoms observed in hives following almond pollination, when bees are exposed to organosilicone adjuvant residues in pollen, and viral pathogen prevalence is known to increase. In recent years, beekeepers have reported missing, dead and dying brood in their hives following almond pollination, and exposure to agrochemicals, like adjuvants, applied during bloom, has been suggested as a cause." "Organosilicone adjuvants are the most potent adjuvants available to growers," he said. "Based on the California Department of Pesticide Regulation data for agrochemical applications to almonds, there has been increasing use of organosilicone adjuvants during crop blooming periods, when two-thirds of the U.S. honey bee colonies are present." Fine noted that the U.S. Environmental Protection Agency classifies organosilicone adjuvants as biologically inert, meaning they do not cause a reaction in living things. "As a result," she said, "there are no federally regulated restrictions on their use." "We found that bees exposed to the organosilicone adjuvant had higher levels of Black Queen Cell Virus," said Fine. "Not only that, when they were exposed to the virus and the organosilicone adjuvant simultaneously, the effect on their mortality was synergistic rather than additive, meaning that the mortality was higher from the simultaneous application of adjuvant and virus than from exposure to either the organosilicone adjuvant or the viral pathogen alone, even if those two mortalities were added together," said Fine. "This suggests that the adjuvant is enhancing the damaging effects of the virus." The researchers also found that a particular gene involved in immunity—called 18-wheeler—had reduced expression in bees treated with the adjuvant and the virus, compared to bees in the control groups. 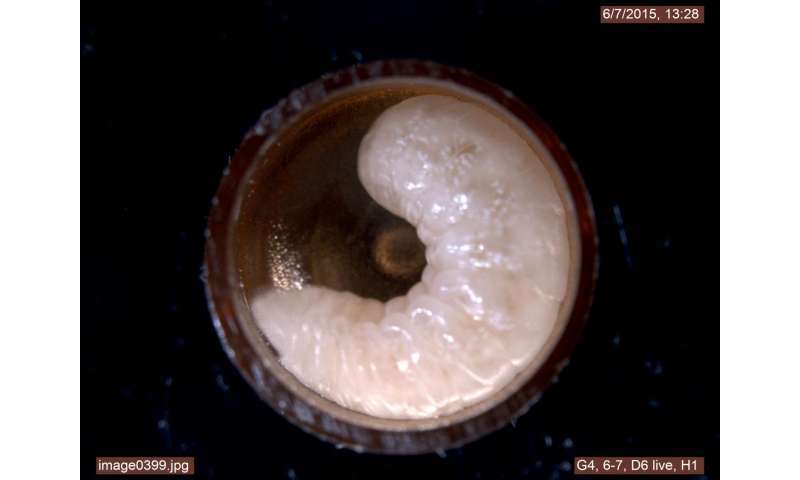 "Taken together, these findings suggest that exposure to organosilicone adjuvants negatively influences immunity in honey bee larvae, resulting in enhanced pathogenicity and mortality," said Fine. The results appear today (Jan. 16) in Scientific Reports. 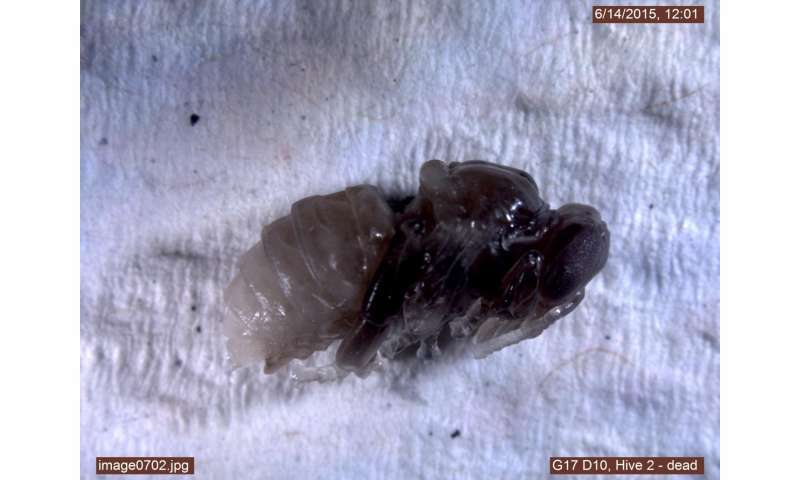 Mullin noted that the team's results suggest that recent honey bee declines in the United States may, in part, be due to the increased use of organosilicone adjuvants. "Billions of pounds of formulation and tank adjuvants, including organosilicone adjuvants, are released into U.S. environments each year, making them an important component of the chemical landscape to which bees are exposed," he said. "We now know that at least Sylgard 309, when combined at a field-relevant concentration with Black Queen Cell Virus, causes synergistic mortality in honey bee larvae." We should do any and everything we can to sustain and improve the bee population. Our very survival depends on it. So lets see how long it takes for the EPA to finally ban these substances, 5 years? 10 years? I have no hope the new administration will ban anything which helps us and may cost someone else money. Money is the only measure in conservatism and Trump Fascism. The bees will be gone under Trump. You will have to do pollination yourself. "Organosilicone adjuvants are the most potent adjuvants available to growers,"
"the U.S. Environmental Protection Agency classifies organosilicone adjuvants as biologically inert, meaning they do not cause a reaction in living things". if inert they cannot be powerful adjuvants, logically !! the U.S. Environmental Protection Agency is completely lying and FDA cheating on also the safety of vaccins adjuvants !! This article is a complete red herring. First off the doses used were EXTREMELY high, and only bad when used in CONJUNCTION with virus. The reality of this chemical is that it is nothing when compared to the active ingredients in the same pesticides. If your bees are already sick, they make things worse, no doubt. but the exposure level and the risk from OSS are at best minuscule compared to the virus problem, and the other active ingredients. Bad science to shape policy is not a solution.